Senator Ames Levritt: Our rules supercede those of the outside world. Though it poses a good moral dilemma, `Skulls' is presented in such an implausible way as to render it crippled at birth. Luke McNamara is a small town boy of modest means attending an Ivy League institution that is never really named but is obviously Yale. He is hoping to be called for membership into the Skulls, a secret society of great status and power. Members of this society have the doors of power, wealth and influence thrown wide to them. This is a dream come true for Luke, who spends much of his time fretting over the hundreds of thousands in student loans he is incurring. When he discovers that one of the members has committed a felony, he is torn between his desire for wealth, his loyalty to a friend, and his conscience. Writer John Pogue (`U.S. Marshals') has conjured up a good moralistic tale, but it is so full of ridiculous premises that it becomes laughable. This is supposed to be a secret society where other than the members themselves, no one knows who the members are. Yet, Pogue and director Rob Cohen present it in such a way that they may as well be advertising their identities on TV. The building where the secret meetings take place is prominently marked with a Skull, and only members have keys to the building. So, Duh, anyone seen entering the building must be a Skull. New members get brand new $50,000 automobiles and $100,000 in cash, as if no one will notice this sudden burst of good fortune. The new members are branded on their wrist and we are supposed to believe that they will never be seen by anyone without their wristwatch on. The list of inconceivability goes on ad nauseam. The acting is generally quite good. Joshua Jackson (`Cruel Intentions', `Urban Legend') is excellent as Luke. He plays the part with just the right combination of idealistic zeal and moral grounding. 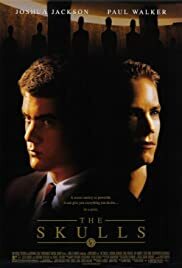 He gets great support from Paul Walker (`She's All That', `Varsity Blues') as Caleb Mandrake, the spoiled rich kid trying to step out of his father's shadow. 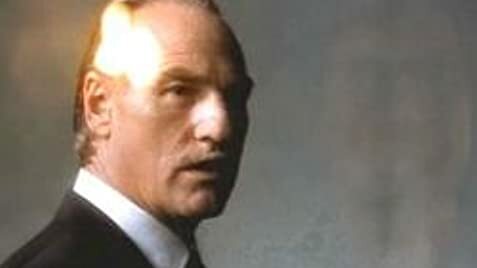 Craig T. Nelson gives a wonderfully nefarious performance as the chairman of the Skulls and Caleb's father. Maybe secret societies exist, and maybe they don't. The fact that no one is sure indicates that if they are more than mere myths, they are a lot more secret than depicted here. I rated this film a 6/10. It is an interesting idea that loses credibility in the telling. 38 of 45 people found this review helpful. Was this review helpful to you?